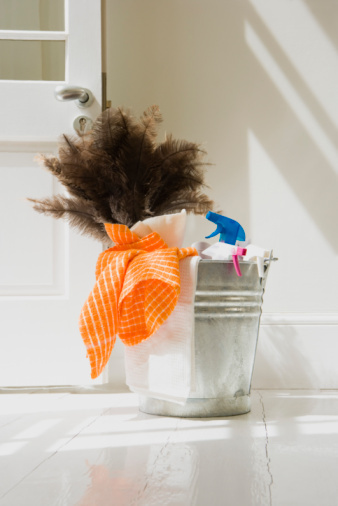 Maintaining attractive and shiny floors requires more than just a broom and mop. Buffing and burnishing are two methods to restore the shine of various flooring types, such as hardwood, marble and tile floors. While both buffing and burnishing are done to get glossy floors, the two different methods produce different results from the use of two different electrical appliances. Buffing and burnishing floors produces different effects. A floor buffer resembles a vacuum cleaner but has a larger body and wide handlebars. Inside the body are motorized brushes that spin at adjustable speeds to clean and polish floors. Some buffers have handlebar controls that help steer the buffer into different areas. Floor burnishing requires a burnisher. Burnishers look similar to buffers but are much heavier, which provides added pressure to help produce a wet-look shine. Instead of moving side to side, burnishers operate in a straight line, going back and forth. Besides being heavier, the engines in burnishers are more complex to produce higher speeds. Floor buffing uses a buffer to polish floors. While the floor should be cleaned before buffing, the squeegees in the back of a buffer help gather any dirt and moisture that are left behind. Buffing can be done at low or high speeds. A standard buffer machine runs at 175 revolutions per minute. High-speed buffers can run from 1,250 to as high as 1,500 revolutions per minute. While buffing does restore some gloss and smoothness to floors, it does not achieve the same wet-look shine that burnishing does. While floor buffing may refer to both the polishing and residual cleaning of floors, burnishing refers only to polishing the floors at a higher speed to produce maximum shine. The extra polish is due to the burnisher's much higher speed, which can run from 1,500 to 2,500 revolutions per minute. Burnishing is often done after buffing in order to achieve that wet-look shine. 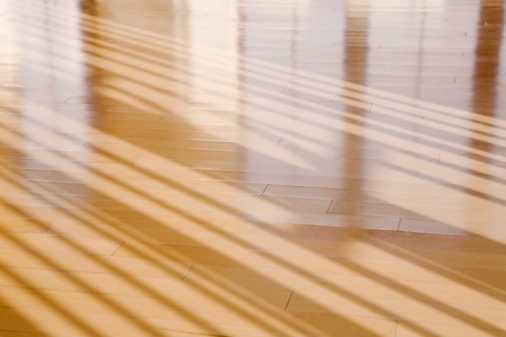 Besides creating more shine, burnishing polishes a floor much faster than buffing because of its high speed. The February 2002 issue of "Sanitary Maintenance" pointed out that polishing a 10,000 square foot floor with a buffer requires 25 hours of labor when using a 20-inch floor machine operating at 350 revolutions per minute. However, a 27-inch burnisher operating at 2,000 revolutions per minute can polish the same floor in 4-1/2 hours. While burnishing polishes floors quicker, care must be taken to apply sufficient coats of finish or else the flooring can become worn.